Do you ever experience pain in your feet, knees, shins or heels? This could be the result of misalignment and uneven weight distribution in your feet. The way that you stand, rest your weight and walk all affect the mechanics of your feet, and in turn can impact your entire body. Your feet are a complex system of bones, ligaments, muscles and tendons working together to support your body. The arches are under enormous stress and strain every day. If arches lose their ability to flex and return to their normal shape, your feet will not be able to properly absorb the shock of walking. Over time, this added stress can cause break down in the joints of the feet and the rest of the body. Enter: orthotics. 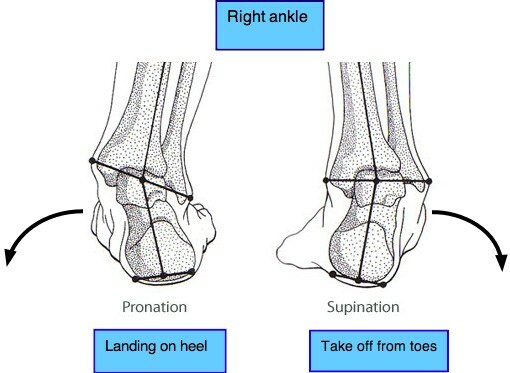 Over-pronation: This occurs when the foot rolls inward because of the angle of the heel bone, and often the arch collapses. Weight is borne primarily on the inner sides of the feet. 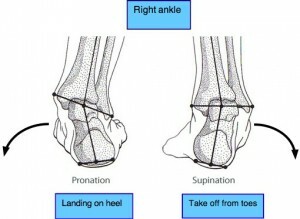 Supination: This is opposite to pronation, and refers to when the foot rolls outward, lifting the heel from the inside of the foot, and re-distributing weight so that the forefoot and big toe lift slightly off the ground. Orthotics are custom-shaped inserts for your shoes that help to correct and compensate for the misaligned movements and position of your feet. While many people visit a podiatrist for orthotics, a chiropractic assessment is worth considering instead. A chiropractor can help to treat your entire body, and identify which lower body pain is in fact related to foot movement and weight-bearing. Chiropractors will use a number of techniques to better understand the mechanical functioning of your feet, but will also help you address and understand the root causes for other sites of pain. These diagnostic assessments are particularly important for pregnant women. During pregnancy, the stress on your feet and arches increases as you grow and gain weight over a relatively short period of time. During the nine months that you’ll carry your baby, your feet may change shape, and you might notice pain in your knees and ankles. Custom orthotics can help to prevent post-pregnancy damage to your feet and to improve comfort. For more information and diagrams about orthotics and foot biomechanics, we like this blog’s comprehensive and highly visual overview. When you’re ready for a better assessment of your own stance, foot alignment and walking biomechanics, give Dr. Wise a visit!